Manager Mobile for your Android or IPhone lets you take your entire inventory with you, no matter where you go - all on your own mobile device. Update from the road, search for machines while you're standing with your customer . . . eliminate steps, close sales faster, and get rid of cumbersome laptops for salesmen. Forget a handful of photocopied spec sheets? 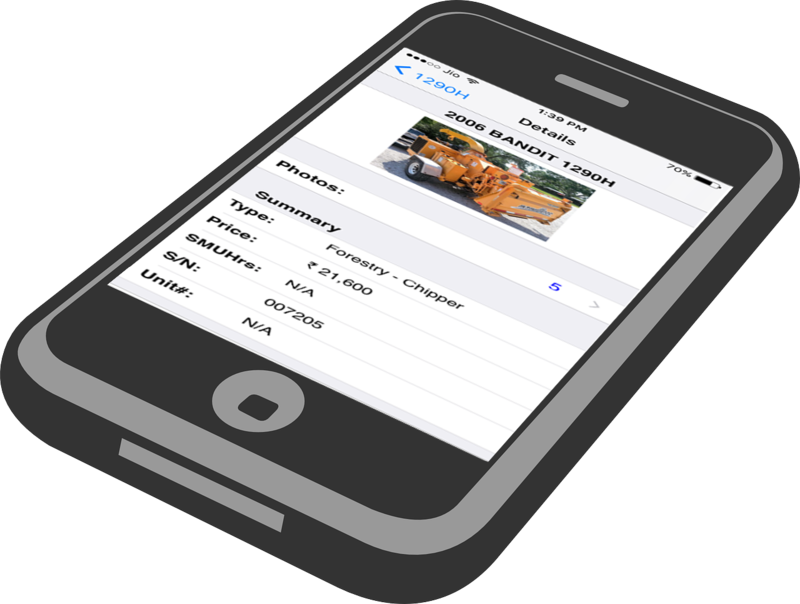 - with Manager Mobile, you can call up any piece of inventory in your dealership on your handheld device, complete with specs, photos, and details - wherever you are. Manager Mobile includes your entire inventory database, so no matter what your customer is looking for, your sales people will help them find a solution. Not only that, but your information never needs to be out of date, since you can immediately update the information on your Smartphone from anywhere with an internet connection.